Many women and men want to look and feel better about themselves. Lipo-sculpture is one of the many cosmetic procedures available today that can help improve your body image. Liposuction has continued to grow in popularity, making it one of the most popular cosmetic procedures performed today. Some people, however, have avoided traditional liposuction because of their concerns about anesthesia, bruising and recovery time. Those concerns are a thing of the past because we now have SmartLipo, laser liposuction. SmartLipo is a fantastic new technology that safely and permanently removes the stubborn pockets of fat that plague most of us. 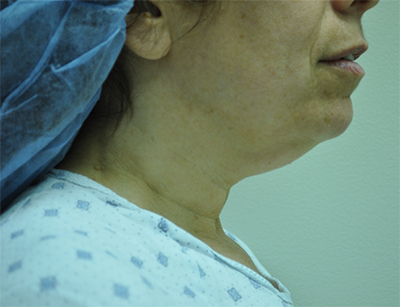 SmartLipo is done under local anesthesia so no hospital stay is required. It also causes much less bruising so you are able to return to work within few days. The results of the SmartLipo procedure are visible as soon as swelling subsides, usually within a few days and sometimes immediately. With our experienced surgeons at the North Shore Center for Plastic Surgery in New York and their mastery of this revolutionary new technique you will be looking good and feeling great in no time. What areas of the body can SmartLipo treat? 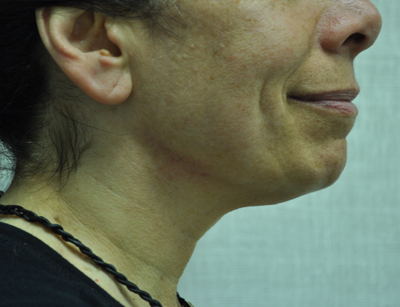 With SmartLipo, a 1mm tube containing a laser is inserted under the skin. Our plastic surgeons then guide the laser through the treatment area. The energy delivered through the tube melts the fat cells, which are then suctioned away. Unlike traditional liposuction, SmartLipo targets fat cells, leaving all other healthy cells intact. The added benefit of SmartLipo is that the laser stimulates collagen production in the skin, tightening and toning from the inside, resulting in smoother, firmer skin. More pictures are available when you come in for a consultation.